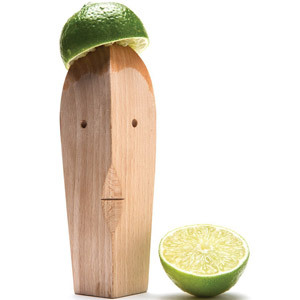 Juice your way to your five-a-day with the Kitchen Craft Manual Juicer. 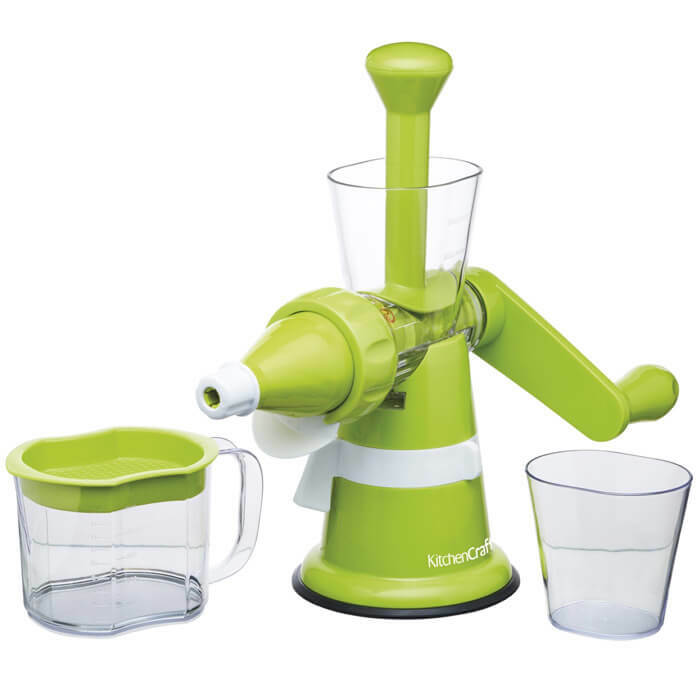 This hand-operated juicer makes it really quick and simple to create refreshing, nutrient-rich juices. 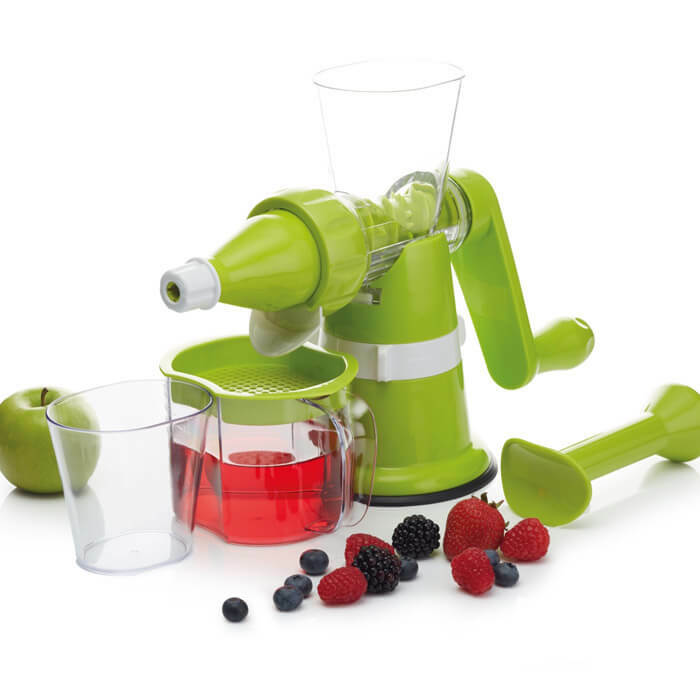 Just fill up the juicer housing with your favourite fresh fruits and vegetables, then rotate the handle. 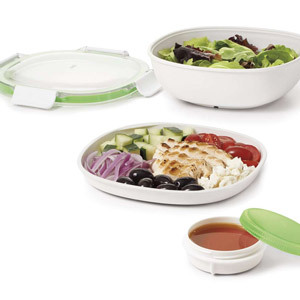 It features separate juice and pulp nozzles and collecting cups too. 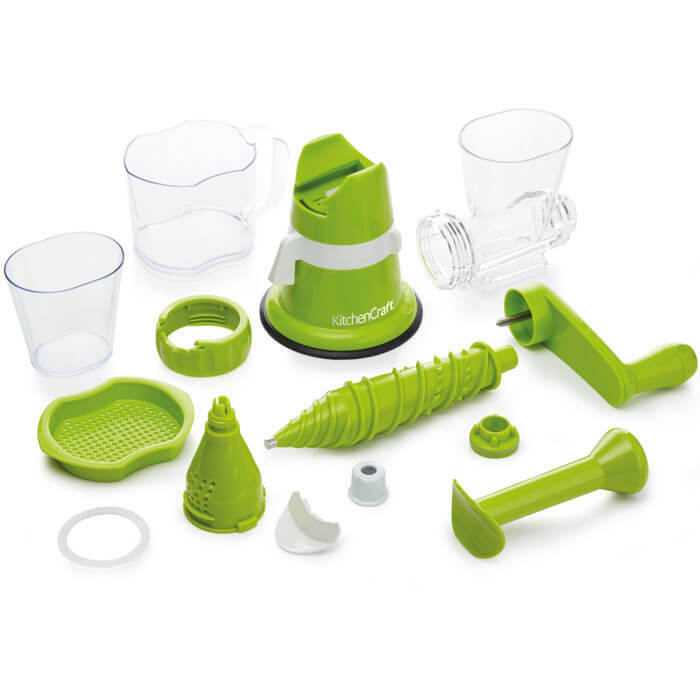 The pulp collecting cup features sieve, which catches pips, seeds and pulp, and a cup for collecting fresh and smooth juice! Its base non-slip suction base sticks to almost any clean, flat kitchen worktop. 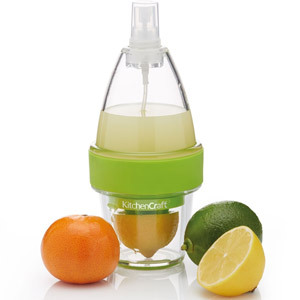 This is great as it helps to prevent the juicer from slipping or moving as you turn the handle. 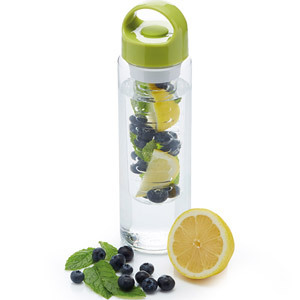 A quick and easy way to enjoy your 5-a-day!